Instead of our Nursery children leaving the ASHAR premises and traveling by bus for their educational experience, we bring the excitement to them. For Parshat Noach, the Petting Zoo visits ASHAR and the children from Nursery through first grade enjoy feedingHashem’s creatures just like Noach did in the taiva. For Purim, The Wonder Puppet Theater puts on a wonderful puppet show presentation, making the story of Mordechai and Esther come alive for our young children. On Pesach, Rebbe Alter visits ASHAR’s Early Childhood and entertains our children with his multitude of educational holiday songs. The children excitedly show off their knowledge of Pesach as they are questioned and called upon to hold different holiday props. Pre-K children enjoy their first off site trip when they visit the Children’s Museum in Paramus, New Jersey. The children really enjoy this interactive, hands-on experience as they dress up as fire fighters, doctors, astronauts and more. It is the perfect first class trip experience. Upon completion of a unit on apples and bees, in conjunction with Rosh HaShana, our Kindergartners visit Lawrence Farms, a real orchard, where they see the cycle “From Seed to Apple” right in front of their eyes. 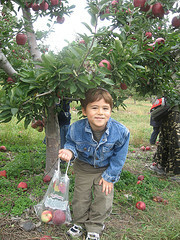 They leave the farm with a bag of apples they freshly picked in the orchards and a real understanding for what they have learned in school. After a unit on the Solar System, the Kindergartners visit the Hudson River Museum and Planetarium and experience an outer space show as they visit all the planets along with their friend “Rusty Rocket” making everything they learned in class come alive! The last trip of the year is after completing a unit on Spring. The children visit The Botanical Gardens where they witness the spectacular views of Spring all around them. The children enjoy a workshop, scavenger hunt and a picnic lunch before returning home with their potted plant to care for. Each grade goes on class trips that correlate to the curriculum that is being taught that year. To celebrate their "coming of age" and entrance into the world of literacy, the children take a field trip to the library. Those who don't yet have their own library cards get an opportunity to sign up for one. The Butterfly Conservatory (located in New York City) gives the second graders a first-hand look at a butterfly's habitat. Habitats are a major study area in their Science curriculum. The third grade visits the Queens Hall of Science as part of their Science curriculum which studies the physics of sound. In conjunction with their Social Studies curriculum which includes US immigration, the fourth grade class visits the Tenement Museum in Lower Manhattan. As part of this trip, the students also visited the Eldridge Street Synagogue. As part of their their Native Americans and Colonial Times units in social studies, this past year the fourth grade classes visited the Rockland Historical Society to learn all about our local history. To supplement their Social Studies unit that focuses on New York State government, the fourth graders visit our state capital and get to experience how our state government works. On Thursday, Oct 30, our fifth graders will visit the Weiss Ecology Center in Ringwood, New Jersey (New Jersey Audubon Society). They will visit the Ecology Center with Mrs. Bell as part of their ecosystems unit. This past year, our fifth graders visited this local art museum to enhance their Art and Language Arts education. 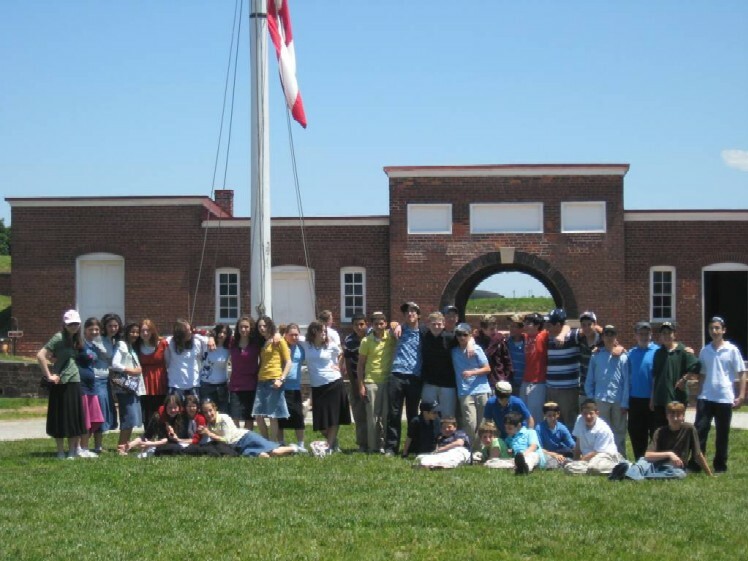 The fifth grade classes visited this historic site for a simulated Revolutionary War experience. History truly came alive as they learned about the period. Each year the sixth grade visits the Lower Hudson Valley Challenger Center. Children get a hands-on experience of what it is like to partake in a space mission. In preparation for this coming year's work on ASHAR's middle school newspaper, the sixth grade boys and girls went to New York City to visit the N.Y. Sun's newspaper plant. This past year, the sixth grade girls took a trip to Ring Homestead, a team-building ropes course, to help foster cohesiveness within the group. The girls truly enjoyed this active outing! Each winter, the seventh grade class ventures into Frost Valley for an overnight trip. This trip is both educational (they learn about maple syrup, among other topics!) and allows the students a real opportunity to form strong bonds with each other. From the broom hockey (played on ice!) to the rope bridge that crosses a deep canyon, this trip is a real adventure. This coming year, the seventh grade will be visiting Philadelphia as part of their American History (Social Studies) coursework. As part of their science biology study, the seventh grade visited the Liberty Science Center. Our eighth graders visited the Jewish Museum. In preparation for this 3 day/2 night trip, the eighth grade students learn all about our nation's capital as well as the monuments and museums they will be visiting. Although the trip is "fun" - experiencing aspects of recent American history is part of the goal as well.